Below you fill find all funeral homes and cemeteries in or near Lagrange. Suburbs of Lagrange: Brushy Prairie, Elmira, Fish Lake, Mount Pisgah, Mt Pisgah, Plato, Royer Lake, Valentine. 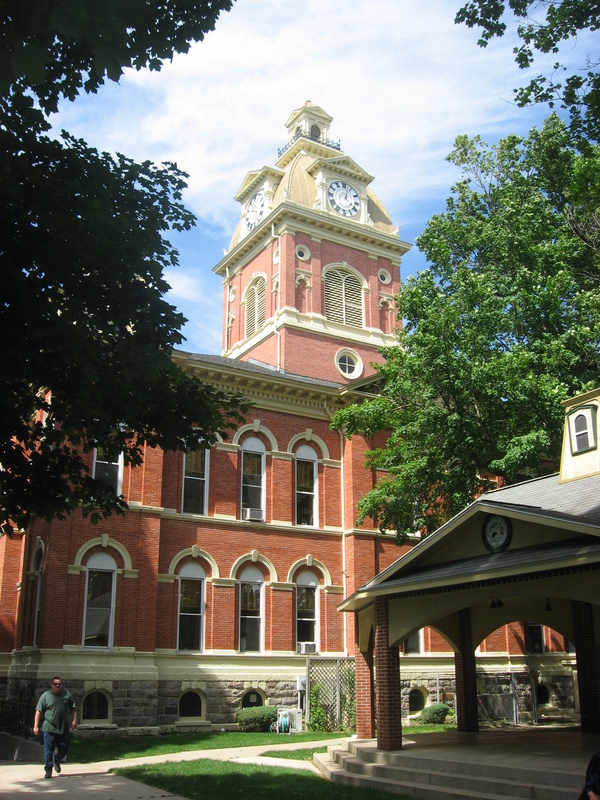 Lagrange is also known as: Lagrange and LaGrange County / Lagrange town. Zip codes in the city: 46761. Some of the notable people born here have been: (frank ebenezer hill), and (carter gray). It was reported by Sarasota Herald-Tribune on December 11th, 2018 that Ammon Schrock passed on in Sarasota, Florida. Schrock was 88 years old and was born in Lagrange, IN. Send flowers to express your sorrow and honor Ammon's life. It was noted by Kalamazoo Gazette on July 24th, 2018 that Marilyn Ann Anderson (Bassett) passed away in Kalamazoo, Michigan. Ms. Anderson was 87 years old and was born in Lagrange, IN. Send flowers to express your sympathy and honor Marilyn Ann's life. It was written by The Advocate on December 29th, 2017 that Mahlon Jr Eash died in Gambier, Ohio. Eash was 53 years old and was born in LaGrange, IN. Send flowers to express your sympathy and honor Mahlon Jr's life. It was disclosed on December 27th, 2017 that Katie miss Weirich perished in LaGrange, Indiana. Weirich was 95 years old. Send flowers to express your sorrow and honor Katie miss's life. It was noted by Kalamazoo Gazette on September 17th, 2017 that Kathryn L Trattles (Randol-Denison) passed away in Three Rivers, Michigan. Ms. Trattles was 89 years old and was born in LaGrange, IN. Send flowers to express your sympathy and honor Kathryn L's life. It was reported by The Advocate on December 4th, 2016 that Emma M Eash (Yoder) died in Newark, Ohio. Ms. Eash was 86 years old and was born in LaGrange, IN. Send flowers to share your condolences and honor Emma M's life. It was revealed on June 14th, 2016 that Luella J Noone (Alt) died in Niagara Falls, New York. Ms. Noone was 90 years old and was born in LaGrange, IN. Send flowers to express your sympathy and honor Luella J's life. It was reported by Kalamazoo Gazette on May 24th, 2015 that E Maxine Stienbarger (Gose) passed away in Mendon, Michigan. Ms. Stienbarger was 83 years old and was born in LaGrange, IN. Send flowers to express your sorrow and honor E Maxine's life. It was written on October 14th, 2014 that Margaret A Radle (Fedie) passed on in LaGrange, Indiana. Ms. Radle was 75 years old and was born in Durand, WI. Send flowers to express your sympathy and honor Margaret A's life. It was revealed by Waterloo/Cedar Falls Courier on October 6th, 2014 that Dale Franklin Harris passed on in Waterloo, Iowa. Harris was 63 years old and was born in Lagrange, IN. Send flowers to express your sorrow and honor Dale Franklin's life. The city is the county seat of LaGrange County, Indiana County . The population was 2,919 at the 2000 census. LaGrange is a town in LaGrange County, Indiana County, Indiana, United States. . .
Pallbearers will be Brock Daigle, Ryan LaGrange, Edrick Prados, Casey Dugas, Jason Dugas, Orsen Daigle, Jr., and Richard Daigle. Pellerin Funeral Home, 112 New Market St., St. Martinville, LA (394-9121) is in charge of arrangements. Listing all funeral homes in Lagrange, Georgia so you can easily send flowers to any location (same day delivery) or find any funeral service. We work with local florists and flower shops to offer same day delivery. You will find budget sympathy flowers in Lagrange here. Our funeral flowers are cheap in price but not in value.